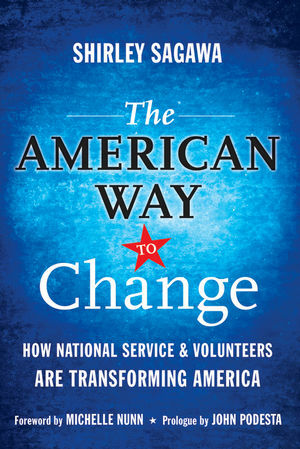 What if the nation were able to capitalize on the energy of Americans willing to serve and volunteer for a year or more? This inspirational book tells the stories of real people who have dedicated themselves to service and the nonprofits that engaged them. It shows how selflessness and service have transformed lives and communities, and can address similar problems throughout the country. The author profiles successes, demonstrates measurable effects, and shows how impact is made. This book describes how we can achieve change, through action at both the community and organizational level. The book shows what America would look like if programs like these operated at scale across the country not just in one or two neighborhoods, but wherever they were needed. Shirley Sagawa is a fellow at the Washington think tank Center for American Progress. She has been called a "founding mother of the modern service movement" in the United States and has served as head of the Obama transition team for the Corporation for National and Community Service. She continues to advise the administration and congress regarding national service policy. Shirley also consults and advises numerous nonprofits on volunteering and service and served as a staff member of the White House during the Clinton Administration. Part I: Changing Lives: Impacts on Those Who Serve. Transition to the Teen Years. Transition from College to Career. Transition from Career to Retirement. Transition from Crisis to Coping. Part II: Tackling Tough Problems: Impacts on Others. 5. Improving Health and Well-Being. 6. Helping People and Communities in Distress. 8. Inspiring and Sustaining Innovative Solutions. 9. What You Can Do.